During this year’s Taste Washington festivities, I had the pleasure of attending one of the seminars for the first time along with my (normally beer drinking) boyfriend. My friend Erin James (of Sip NW and CIDERCRAFT magazines) was on the panel and I was dying to learn all there is to know about the cider movement and also see her do her thing in front of an audience. It was such a great opportunity to learn about cider, where it came from, where it’s headed and to hear from the actual producers themselves as well. Oh and the tasting.. you can’t forget the tasting portion! Deee-lish. Sigh… Taste Washington 2015 has come and gone, and we now spend the next year dreaming of next year’s vintage of the best of the best of Washington wine and food. While there were too many amazing events to attend all of them, I managed to try some amazing gems at the Grand Taste Saturday edition, and got my learn on at one of the Sunday Seminars! This post contains my wine highlights from the Grand Taste, an upcoming post will cover all of the amazing things I learned at the seminar. We have kicked off March of 2015 and Washington Wine Month is in full effect! Who doesn’t love an entire month dedicated to the amazing wines that are produced from our great state? One of the best parts of Washington Wine Month is that it is capped off with Taste Washington, the nation’s largest single region wine and food event. Taste Washington is so much more than just the Grand Taste. This year’s 4-day extravaganza, held March 26th through 29th, includes several different events where you can sip some of the finest wines Washington’s many AVAs have to offer. So let’s a take a look see at all the fun, shall we? Ladies and gents, it’s go time again! The Seattle Wine & Food Experience (SWFE)(@SeattleWineFood) kicks off the 2015 event season on Sunday February 22nd with all of the delectable food and beverages that we have come to know and love at this event. 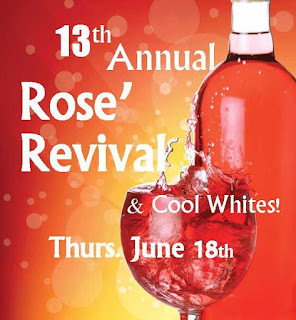 The seventh vintage of this event will once again be held at the Seattle Center Exhibition Hall (12-5pm VIP, 1-5pm General Admission), which has been home to all of the delicious offerings for many years. As I’ve mentioned in past posts about SWFE, one of the best parts of this event is that it isn’t just Washington specific. SWFE brings in wines, beers and spirits from around the U.S. and around the world. This allows guests a great opportunity to try things they may never come across at any other Seattle tasting event. Hear, Hear to a New Year! Happy 2015! I’m back party people! OK, so I've been a less than stellar blogger as of late and I apologize for that to the many readers (well, all 5 of you) of Sips & The City. I put it in writing in my Christmas letter that I vowed to write more this year, so I am going to make good on that promise. First off, some changes. My wonderful beer expert Ally has gotten hitched and flown the coop to Florida, so I am once again alone in my Seattle (and beyond!) tasting adventures. You will probably see the occasional beer post from me, but the person that actually knows her stuff about beer likely won’t be contributing as she has in the past. But fear not, I live with a male that enjoys the brews, so there may be some times where he gets to provide some insight into a post that I write. We’ll see where the wind blows us! 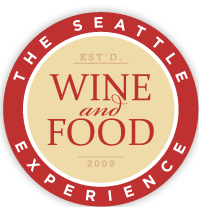 -The 2015 Seattle Wine & Food Experience (SWFE) is coming up February 22nd. Post coming next week with details on the event and a chance to win tickets! -2015 Taste Washington is coming up before we know it, this year happening March 28th and 29th. A post on this year’s event details and information on seminars coming soon. -A post on the big picture of wine in the U.S. Just a teaser for now, look for the real deal in the future! Looking forward to a great 2015 and all of the events, tastes, and fun adventures I’ll be able to write about. Cheers and I’ll be seeing you SOON!